Dr. Lawrence Werlin Appears on discovery health channel next week. 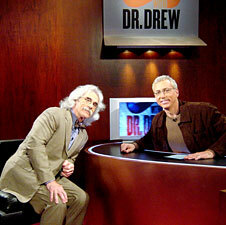 IRVINE, Calif. – Orange County television viewers can experience the human journey — from conception to birth — on Tuesday, August 15th, as the Discovery Health Channel show, Strictly Dr. Drew, welcomes special guest, Dr. Lawrence Werlin of the Irvine-based Coastal Fertility Medical Center. Drawing from over 20 years of medical experience, Dr. Drew delves into a wide range of health topics, providing valuable knowledge to those seeking to improve their lives. Dr. Drew tapped Dr. Lawrence Werlin, a Newport Beach resident and reproductive endocrinologist, to explain the scientific details behind conception and to counsel a young married Orange County couple trying to get pregnant. Dr. Werlin is one of the longest-practicing reproductive endocrinologist and infertility specialists in Orange County. He began his career in 1980. He earned a national fellowship in reproductive medicine at the National Institute of Health where he conducted groundbreaking research on Lupron, a drug used today for treating endometriosis. In 1986, Dr. Werlin founded Hoag Hospital’s Fertility Center in Newport Beach — a program he directed for 10 years. Dr. Werlin has been named one of “Orange County’s Physicians of Excellence” in the field of obstetrics and gynecology by The Orange County Medical Association and Orange Coast Magazine. Heis perhaps best-known known for his groundbreaking work in reproductive endocrinology and infertility and specifically Preimplantation Genetic Diagnosis (PGD), a technology he was instrumental in introducing to Southern California in the early 1990s to screen eggs for genetic flaws to avert miscarriages and other high-risk pregnancies. Dr. Werlin is a leader in reproductive technology, research, education, and patient services and the founder and director of Coastal Fertility Medical Center in Irvine and is co-partner of the Corona Institute for Reproductive Medicine and Fertility in Corona, California. He is a member of the American Society of Reproductive Medicine, Pacific Coast Reproductive Society, and the Society of Assisted Reproductive Technologies, an organization in which he held national office from 1991-2000. For more information on Werlin or Coastal Fertility Medical Center, visit http://www.coastalfertility.com.